Even though the weather outside may not feel like spring (at least where I live! ), we can still look at colors for the upcoming season. Based on their survey of fashion designers, Pantone has named the palette for women’s clothing in spring 2015: En Plein Air, a French expression which means in the open air. This spring offers cooler and softer colors with subtle warm tones that take their cue from nature. “On one end of the women’s palette sits Aquamarine, an airy, ethereal blue with a cool, dreamy feel that mixes well with the other blues and greens in the Top 10”, according to Pantone. 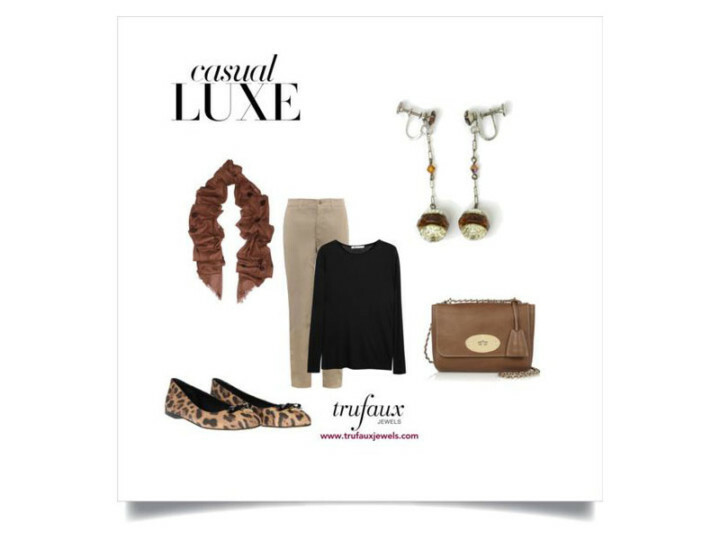 I can’t think of a better way to bring a wardrobe up to date than to add vintage costume jewelry in the latest hues. 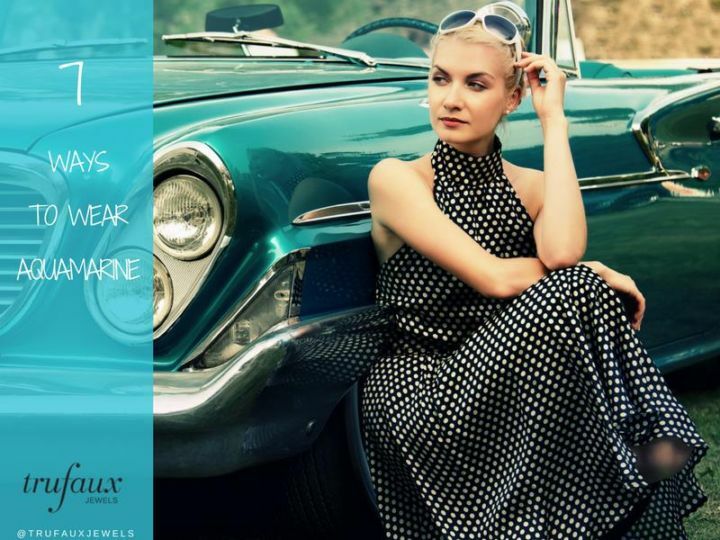 You’ll find a selection of classic, unique and versatile aquamarine pieces from the 1920s through the 1950s on the TruFaux Jewels website. Gemstones are natural minerals. 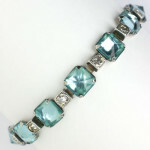 Aquamarine is the green-blue to blue variety of the species beryl. (Emerald is the blue-green to green variety of the same mineral.) 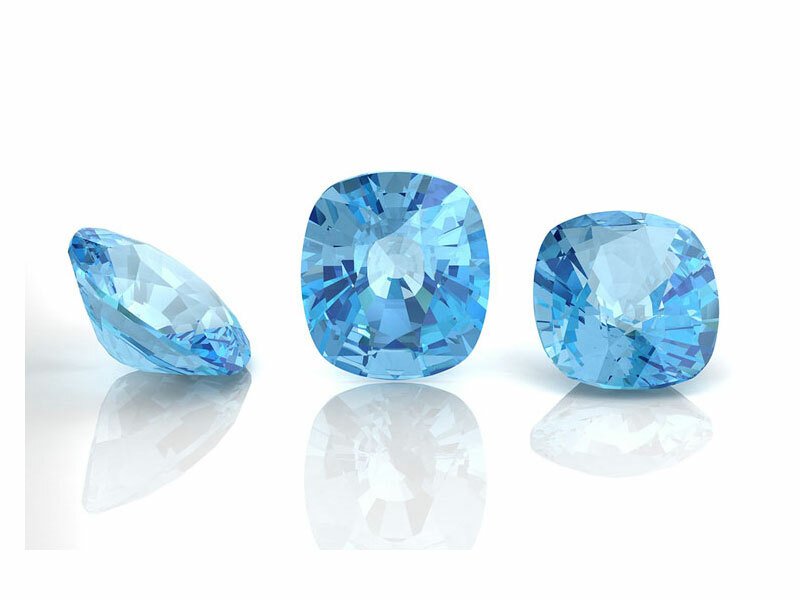 According to Cathy Hall (Gemstones): “In the 19th century the preferred color for aquamarine was sea green, and indeed the name itself means seawater. Today the most valued colors are sky blue and dark blue. Aquamarine is dichroic, appearing blue or colorless as the stone is viewed from different angles”. The birthstone for March, aquamarine is said to protect the wearer against enemies and also quicken the intellect. Popular forms of this gemstone have been step-cut in a rectangular shape (also called emerald-cut), brilliant-cut (where faceting is used to maximize a stone’s brilliance) and cabochon-cut (a highly-polished stone with a smooth and rounded surface). In the 1920s and 1930s, richly-colored glass stones and beads were used in costume jewelry to imitate their precious counterparts. Faceted round, oval, rectangular or square aquamarine glass stones were often paired with imitation diamonds in necklaces, brooches, bracelets, clips, earrings and finger rings. Square-cut aquamarine stones channel-set in bangles as well as one-, two- and three-row flexible bracelets (also called line bracelets), often with contrasting clear stones, were also very popular. This bracelet is a lovely variation of the flexible bracelet — it has pyramid-shaped aquamarine glass stones with alternating diamanté (or brilliants, as they were called then). You can see detailed photos and a description of this bracelet here. Another style in this era was channel (actually spelled chanel at the time) jewelry. This term was applied to faceted, round or square-cut clear or colored crystals or glass stones set into or onto frames and made into necklaces, bracelets and earrings. This particular example is a section of a necklace comprised of round aquamarine glass stones encased in decorated silver metal frames (or collet-set) with silver metal links . The stones are like brilliant-cuts, with faceted tops and points on the bottoms. You can see the complete necklace, additional detailed photos and a description here. 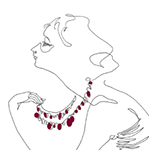 While not a style reflected in architecture or decorative arts other than jewelry, C. Jeanenne Bell (Answers to Questions About Old Jewelry, 1840-1950) defined Retro Modern as a “definite, recognizable style of jewelry design from the late 1930s throughout the 1940s”. The term itself, according to Christie Romero (Warman’s Jewelry), is “appropriately contradictory … carrying the suggestion of looking back and forward at the same time. 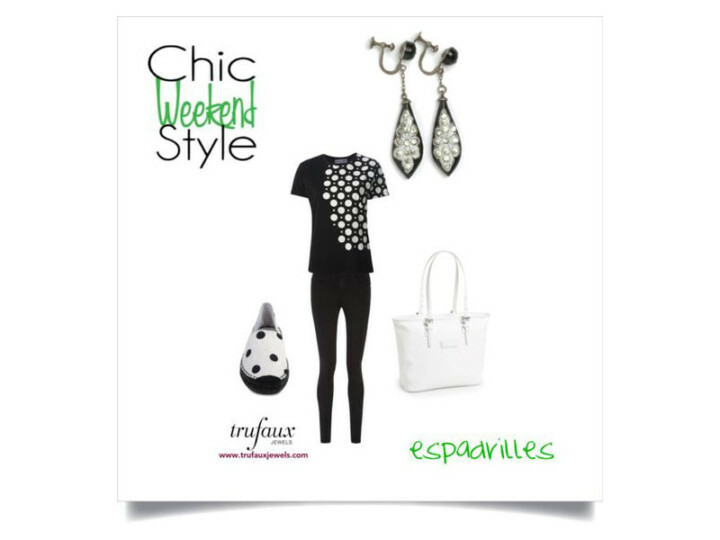 The style’s characteristics were truly an infusion of past and futuristic themes”. Jewelry during the war years tended to be statement pieces, to compensate for shortages in fabrics and the absence of clothing ornamentation. The examples below are typical costume pieces from this period: large, stylized designs based on nature, bold polished curves, and embellishments in aquamarine, one of this era’s fashionable stones. This 3-inch by 1 7/8-inch flower brooch by Mazer is a great example of the size and stylized floral motif of the 1940s. This piece is made from sterling silver, which was used by costume jewelry makers from 1942-47, when the supply of base metals was limited to the war effort. This brooch has gold plating, also popular in this era. Here the large emerald-cut aquamarine glass stone is the focal point of the piece, with oval-cut stones in the same color as accents. Detailed photos and a full description of this brooch can be found here on the TruFaux Jewels website. Another maker of this period who used floral motifs extensively is William Hobé. His pieces were usually sterling silver, but many also had gold overlays. 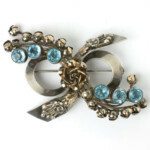 This 2 1/2-inch by 3 3/4-inch sterling bow brooch (c. 1944) is adorned with gold-plated flowing buds, leaf-topped ribbon ends, and round aquamarine glass stone accents. The beautiful gold-plated flower in the center completes this masterpiece. I think this brooch is a fine example of the extraordinary design and construction of Hobé pieces, which were all hand-made. See more photos and a detailed description here. As usual, well written & well worth the read. Thanks!